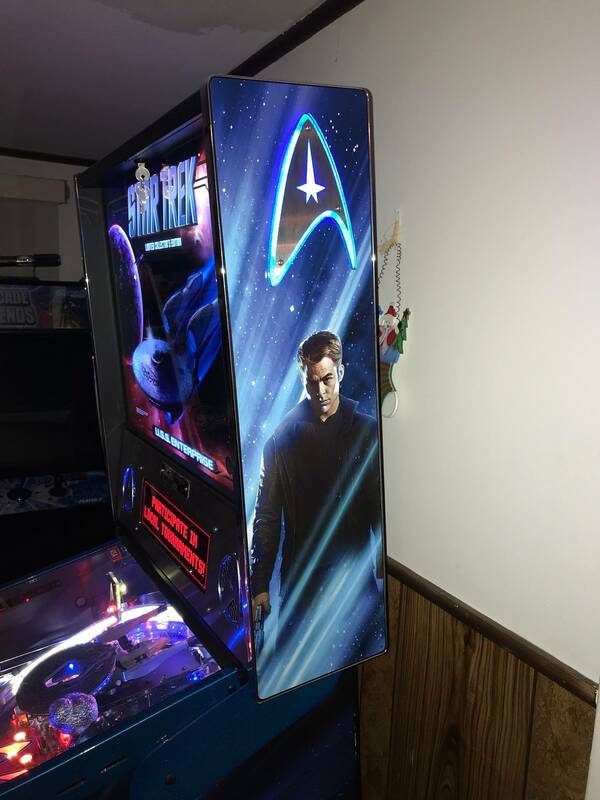 Star Trek LE in mint condition. 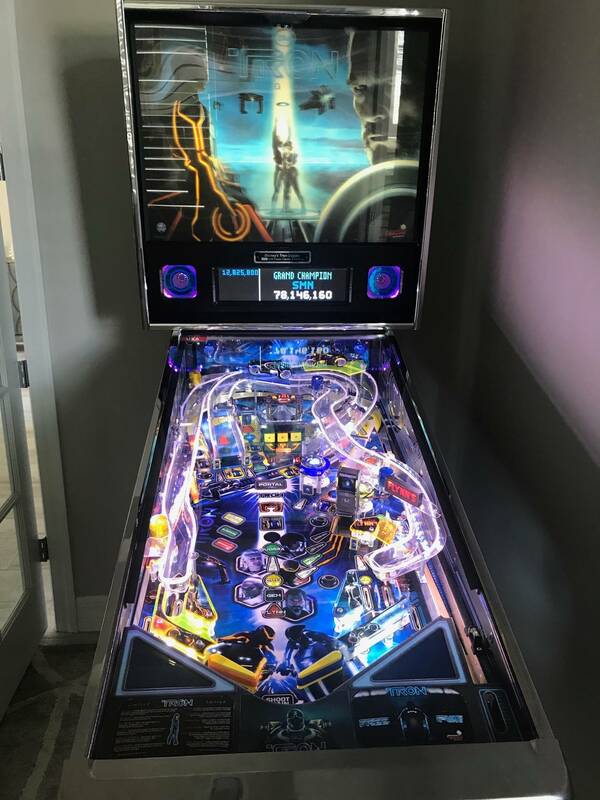 Has custom interactive backbox light kit installed, clear plastic protectors installed, blue vengeance mod, blackout mod, webbed sling plastic protectors and some blue titan flipper rubbers, cliffys from day one. I’m the second owner. 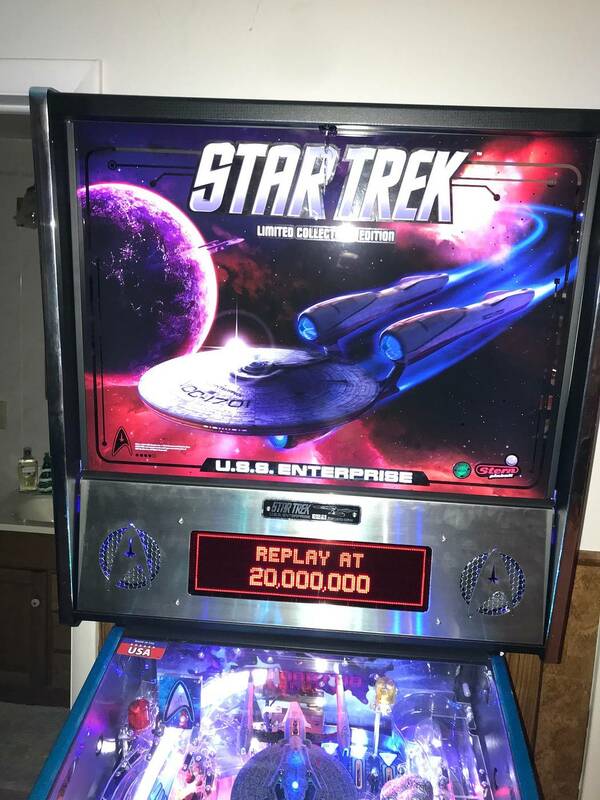 This machine is gorgeous and needs nothing. Missing your TRON LE already! Just spent a couple days shopping/modding yo baby. It's been awhile since I've purchased a SAM game, and was reminded how solid they look/feel compared to the new games. I appreciate you selling me your game...you were a pleasure to do business with! Good luck on this sale/trade. Looks like there are some nice examples up for sale...kind of surprised so many LE owners are letting them go. I decided to down size a bit and pick a pin I'd like to have back. 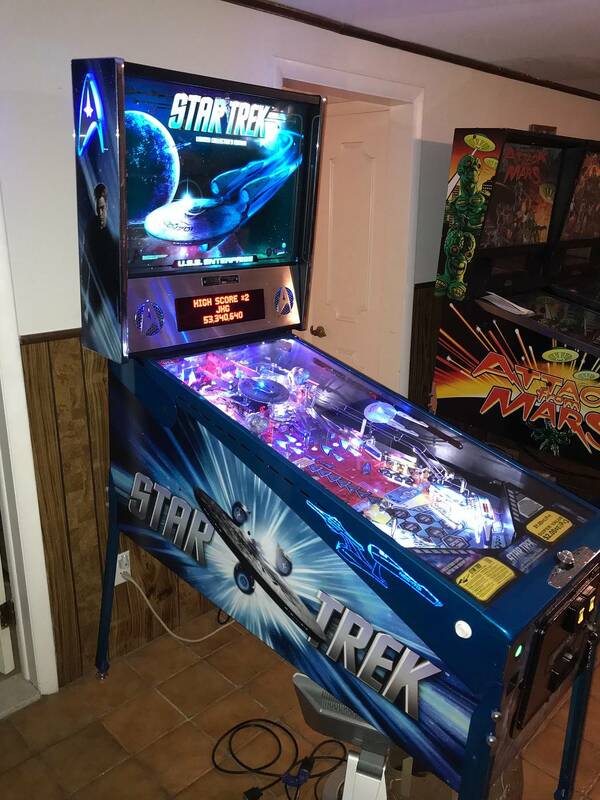 Star Trek LE, ACDC Premium and DE Time Machine are up for sale for now. Tron Pro or LE is my next pick. I'm glad Tron LE went to a good home though. Bump! For sale or Trade! Tron LE to the front of the line. 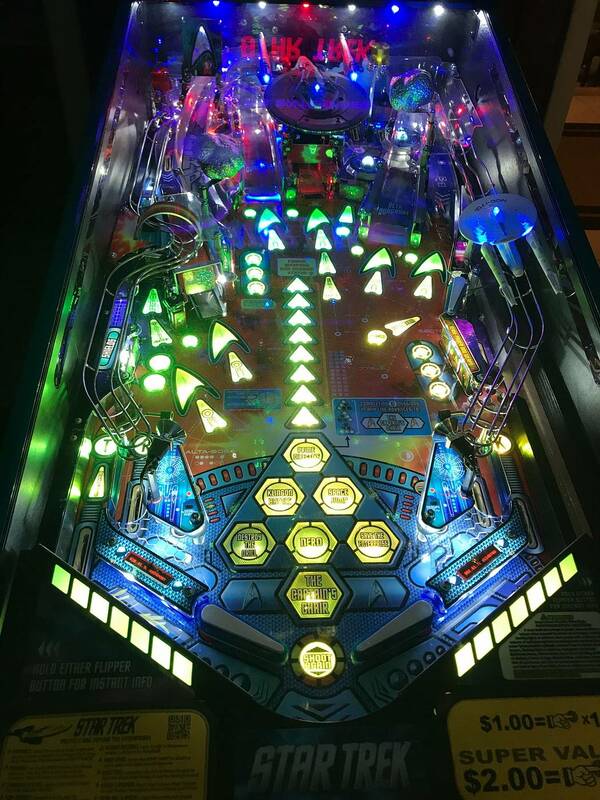 Tron Pro - with mods as well. Awesome piece of machinery there and great seller. C'mon Stern, give the people what they want... a Vault TRON "Premium"! Does Stern still produce SAM games? If they do, I guess you have some "hope". If not, it's highly unlikely they would convert it to the Spike platform (and if they did, it would definitely have a different feel). TRON LE feels so much more solid than the more recent Stern games. Star Trek was SAM too. Spider Man and Iron Man as well. I think pretty much all the Vault games so far have been SAM games! Interesting trades so far. Still here though! Whitewater, Whirlwind, Fathom, Tron LE, Tron. John, I got DP MB today for the first time. Lasted pretty long (does an add-a-ball when you hammer away at the disk), and then the disk starts making a REALLY LOUD sound...since I've never been to DB MB, I thought maybe it was part of the sound effects? Then I realized it wasn't the effects and thought the disk was just failing in some way. 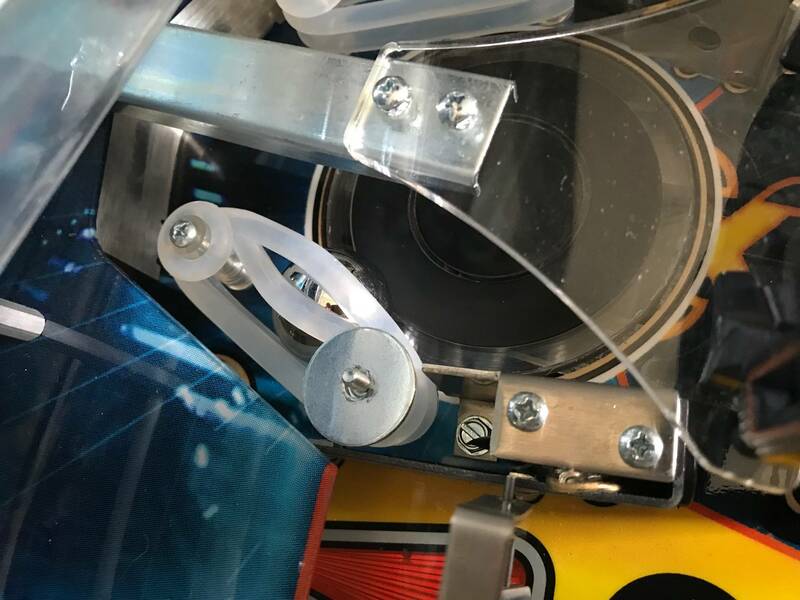 Then I noticed the cause was a stuck ball wedged between the rubbers and the disk (photo below). Really sucked to have such a rare moment ruined by something like this. Fortunately, the disk doesn't seem to be damaged...pretty robust mechanism. Interesting. I didn't install clear rubbers in there. You must have installed the wrong size. I installed what the manual said, 1.5". When I was installing them, they seemed a bit too loose. The black rubbers were definitely a bit smaller, but I couldn't read the size. I'm going to order 1.25"...I think the manual is wrong. I betcha that's your culprit right there. Way too loose. 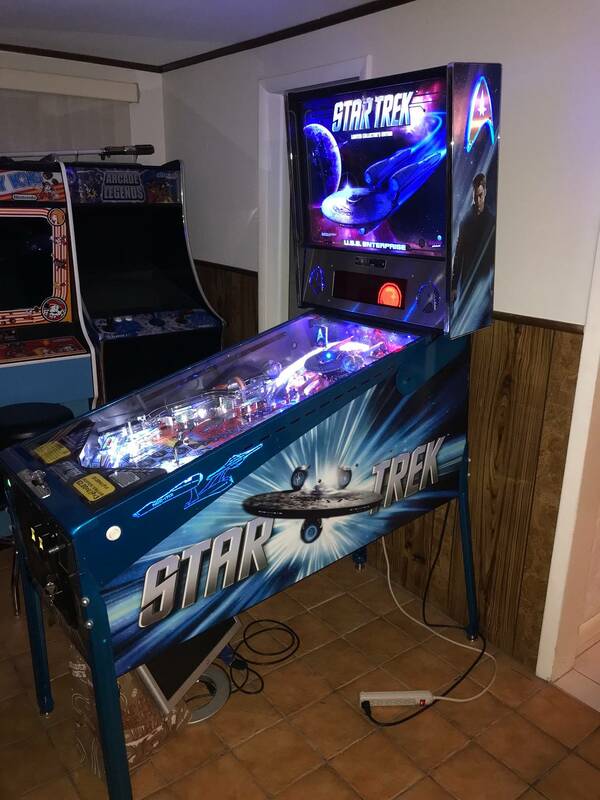 I want to add another pinball to the trade list. Game of Thrones Pro + cash on GOT side. Bump! Game of thrones up to the front! Going to add Williams Diner to the trade list! Your current colllection showed you had 2 TRONS, my bad. GLWTS. GLWS bump! Wish I had more than a super nice and modded Champion Pub to trade ya.